A couple weekends ago was our last trip away from home before we hunkered down to wait for baby day. We headed up north to celebrate my SIL's wedding. It was a fun time with lots of family. Being super-pregnant, there wasn't too much for me to do to help. But I did whip up a no-sew pennant banner for the reception. I started by making a template for the pennants. 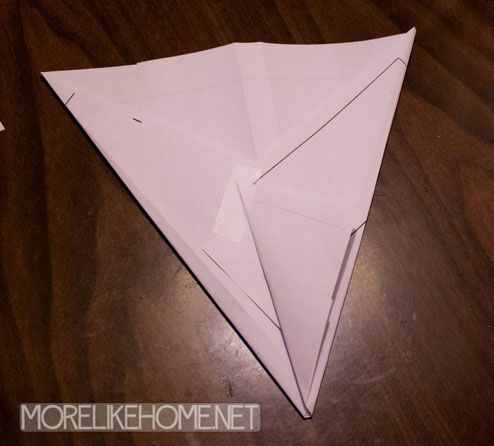 I just used printer paper and folded it to a size that looked good. I think it ended up being about 12" tall and 10" wide. 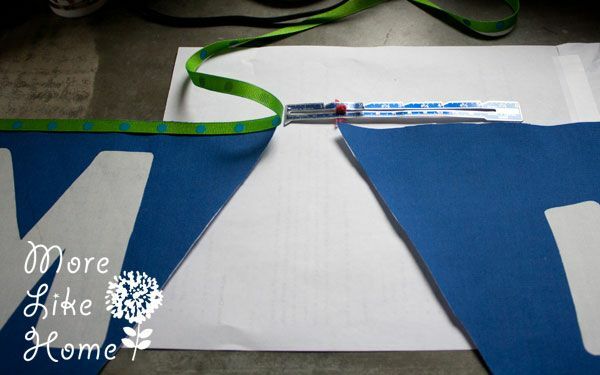 I used the template to cut all my pennants out of pennant fabric. Then I ironed the pennants onto the back of the mid-weight fusible interfacing, then cut out around the pennants. And I have no picture of this. Sorry. 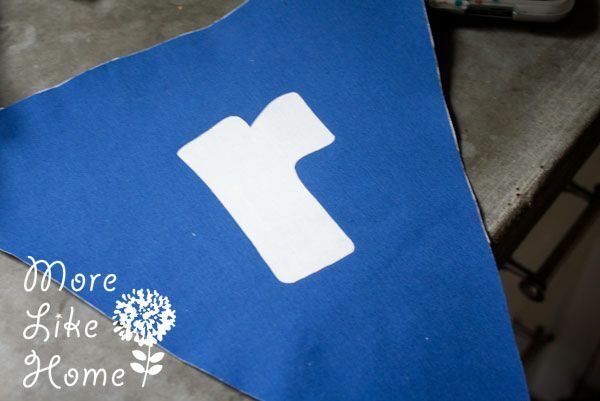 You should end up with a pile of fabric pennants with interfacing on the back. Then I picked a nice fat font (so it would show up across the room) and printed out a sample letter to see how it would fit on my pennants. 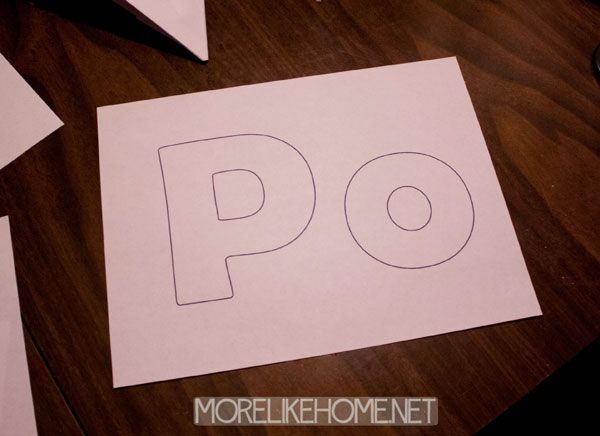 Once I was happy with the size I printed all the letters I needed and cut them out (remember if you need more than one of a letter, like 2 o's, you still only need to print out one). 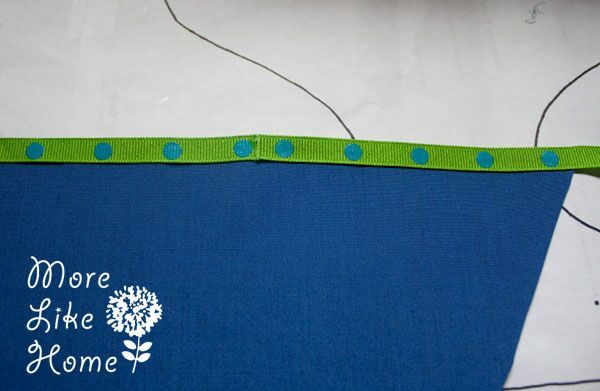 Then I went ahead and used my iron to fuse the white letter fabric to the double-sided interfacing (just follow the directions included with the interfacing). After that I traced all the letters and cut them out. 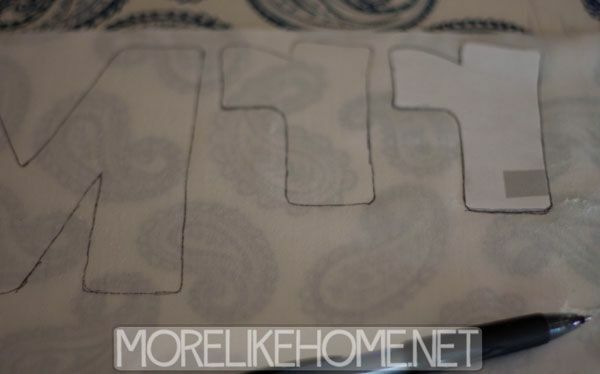 I traced on the back of the interfacing to make sure no marks were left on the front, so I had to flip my letters upside down when I traced them. Then I was ready to attach the pennants to my ribbon. I left a couple feet of ribbon at the beginning for tying, then used a hot glue gun to attach the ribbon across the top of each pennant. I used a ruler to make sure they were evenly spaced (I did 1 1/4" apart, but you can do whatever you like!). Just be really careful as you go to make sure your letters are in the right order! I needed more than one spool of ribbon so when one ran out I just lined up the beginning of the new spool and kept on gluing. You can see below where I did that. At the end I left a couple more feet of ribbon for tying the banner up. And that was it! 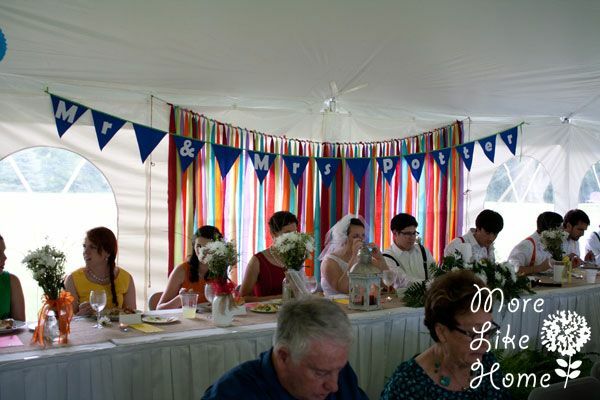 We put it up with a rainbow strip curtain (my SIL made it by cutting cheap flat sheets into strips and tying them to a piece of twin) and it was a great backdrop for the head table at their rainbow themed reception. So let's talk weddings! 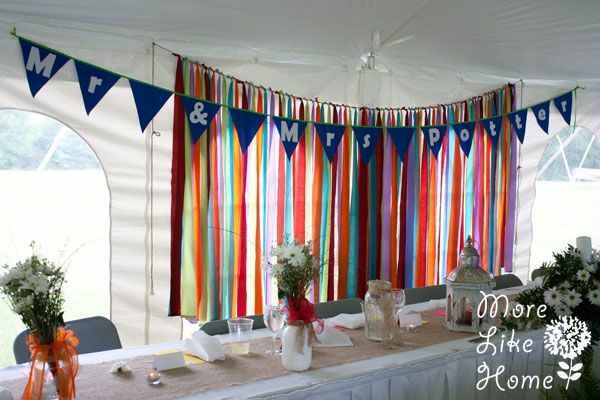 What's your favorite DIY wedding project? What's the coolest thing you've ever seen at a wedding or reception? p.s. I'm hoping to have some blogging interruptions in the near future. 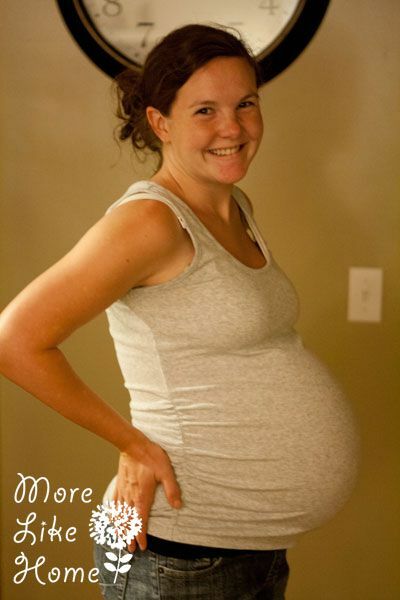 This baby is DUE! Happy 40 weeks to us all! I see Don and Ruthie!